262 p., 15,3 x 21,0 cm. With contributions by Enid Balint, Hellmut Becker, Friedrich-Wilhelm Eickhoff, Kurt R. Eissler, Sándor Ferenczi, Sigmund Freud, Ilse Grubrich-Simitis, Gemma Jappe, Hans W. Loewald, Rainer Marten, Carl Nedelmann, Samir Stephanos, Hans A. Thorner and Thure von Uexküll. 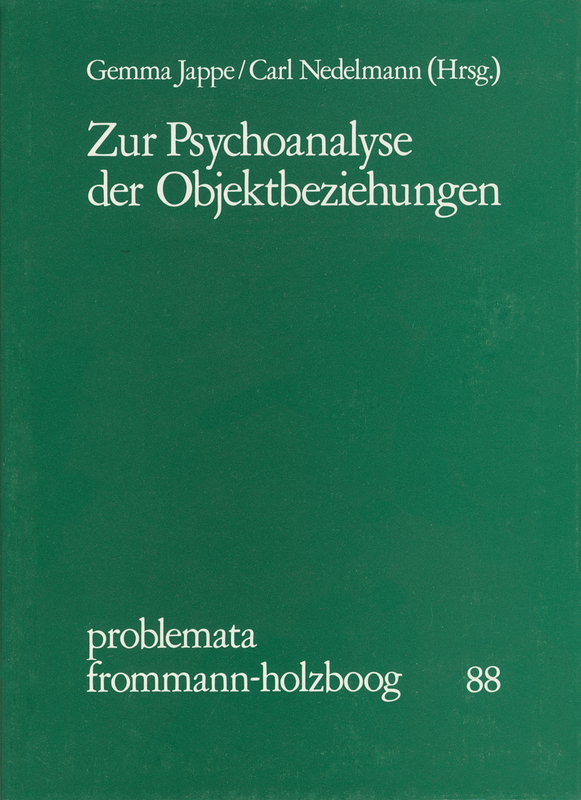 This book contains contributions to the psychoanalysis of object relations. Its centre is an as yet unpublished correspondence between Freud and Ferenczi. The papers extend over a wide field which covers questions of politics of science, of psychosomatics and problems of fundamental social and human structures, as well as investigations of the psychoanalytical process proper, the formation of symbols and myths, interpretation of dreams, also regression and primary repression.